ATTENTION ALL FILMMAKERS AND FILM LOVERS! TAP-LA is proud to present the 1st Annual Taiwanese American Film Festival on July 8, 2017 at the beautiful Downtown Independent in DTLA! This one-day event will celebrate and showcase new, up and coming Taiwanese American and Taiwanese cinema talent. The Film Festival will present short films and mediaworks by Taiwanese and Taiwanese American makers. The Festival’s highlights will include an Awards Ceremony and Closing Celebration, an industry panel, and a variety of food and drink vendors plus art and music attractions. The Festival’s ultimate goal is to create a platform for a growing cinema community and to help emerging filmmakers in their next cinematic venture. CALL FOR ENTRIES ARE NOW CLOSED. The Taiwanese American Film Festival recognizes filmmaking achievement through presentation of juried and balloted awards. Presented to a short film that demonstrates overall excellence in content and cinematic technique. $2500 cash prize towards recipient’s next cinematic production. Presented to a short film that demonstrates an innovative way to highlight Taiwanese culture and/or issues. $1000 cash prize towards recipient’s next cinematic production. Presented to an audience favorite film, as chosen by audience ballot from each of the screening blocks. Prizes will be sponsored by announced filmmaking resources – Value $500 for each recipient. 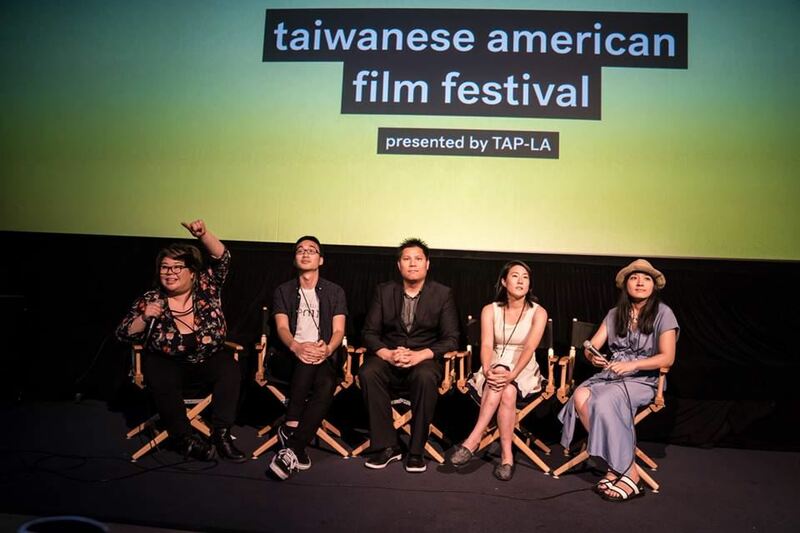 The Taiwanese American Film Festival accepts short films and mediaworks by and/or about Taiwanese with themes involving, but NOT limited to, Taiwanese American and/or Taiwanese diasporic culture, history and experiences. Currently we are accepting short films, music videos and/or mediaworks under 25 mins in length that have been produced after January 1, 2015. All genres are eligible for consideration. All awards will be presented at the Awards Ceremony of the Festival. ALL invited short films and digital submissions will be screened as D-Cinema and will be converted into a Digital Cinema Package (DCP) covered by the Festival. 35mm film, HDCam, Mini DV, Digibeta, Blu-ray, and DVD are not acceptable for exhibition. Exhibition formats of invited entries must be sent to the Festival to arrive by June 8, 2017. The Film Festival accepts all entry materials electronically; in an effort to be environmentally responsible, physical DVD screeners are strongly discouraged. Physical submission materials will not be returned. In U.S. funds, payable to TAIWANESE AMERICAN PROFESSIONAL OF LOS ANGELES. If your entry is selected for exhibition, The Festival will also request the following optional materials to maximize exposure for your film: posters, postcards, broadcast-quality clip reel, etc. Invited entries in language(s) other than English MUST be subtitled in English. The Festival does not pay screening fees. Instead, we choose to invest our resources in producing the best possible showcase for your work, and promoting your work as widely as possible.